Off Ridge – Off ridge vents don’t have moving parts and they are thin and long. Roofers usually place them over a cut section in the roof near the ridge. In general, you’ll need a series of off ridge vents that work together as part of one exhaust system for best results. Box Vent – This is one of the most common varieties of roof ventilation. Box vents are square, hence the name. Roofing contractors install them over a hole cut out of the roof. They work by using the process of natural ventilation. 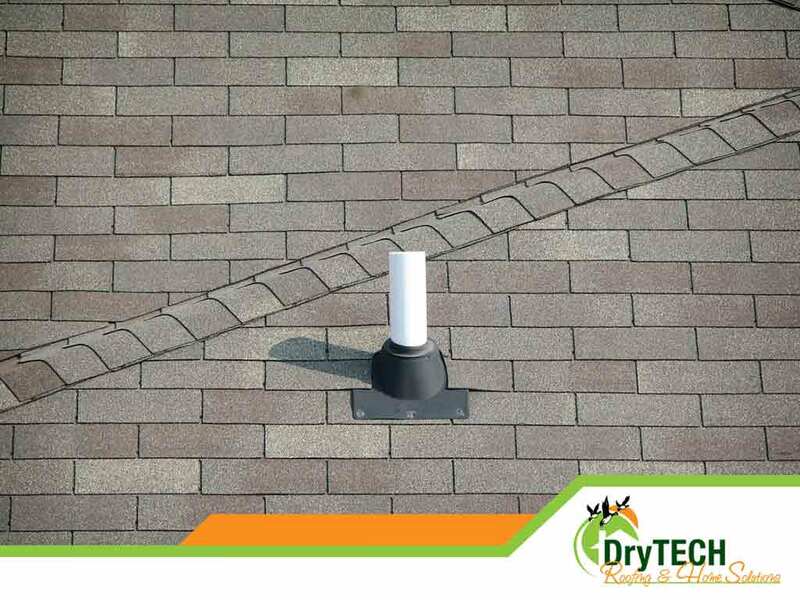 As one of the most experienced roofers in our area, DryTech Roofing, LLC can help you determine if box vents are right for your roof. Cupola – This vent is a more elaborate form of a box vent and primarily decorative in nature. They are usually placed high atop a roof ridge to help make a roof look more pleasing. Cupolas do not have any moving parts. Soffit Vents – This vent type is installed on the eaves and soffits and it enables air intake into a roof’s ventilation system. It works best when used together as part of one continuous ridge and works seamlessly as a single part of a roof network. Ridge Vents – Ridge vents run the horizontal length of the roof and they are excellent at evenly distributing heat across it. They are best used when combined with soffit vents. They have no moving parts. They also look great because they blend into the roofline. Wind Turbine – These vents look like giant chef’s hats powered by the wind. The wind turns the moving parts of the vent, which helps it draw out hot air from your attic. Silent and efficient wind turbines usually have permanently lubricated ball bearings. Power Attic Vent – This vent has a power source to speed up the process of removing heat from your attic. Motors inside the vent turn large fans that drive out moisture and heat. Power vents need to be set up correctly because they can end up removing conditioned air from your home. You can rely on DryTech Roofing, LLC for all of your roof repair, maintenance and replacement needs because we are one of the few GAF Master Elite® contractors in the country. We have the skills, knowledge and resources to handle any kind of roofing problem. Call us at (240) 491-5600 to learn more about our services and products or to ask for a free estimate. We serve homeowners in Maryland.